In a tempeh vs. tofu showdown, tempeh is for sure the underdog. After years of neglect and vast under appreciation, tempeh is finally on its way to becoming a household staple. Tofu, on the other hand, has been our go-to for everything. From scrambled eggs to vegan ricotta, tofu has been our staple vegan protein for as long as I can remember. As a vegan, I am always looking for new and delicious sources of protein. One of my top choices is tempeh. But how does it compare to tofu? What exactly IS tempeh? Where does it come from? How do you cook it? Let’s compare tofu and tempeh to see how these two healthy meat alternatives stand up against one another. 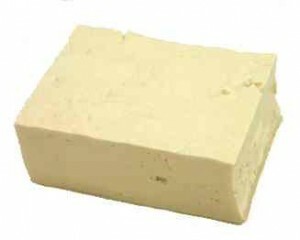 Tofu originated in China, and is made from coagulating soymilk into curds and pressing them into soft spongy blocks. The density is determined by how long the curds are pressed; the shorter the time, the softer the tofu. The process is very similar to making cheese. Tofu has almost no flavor on its own and relies on the preparer to achieve a palatable flavor and texture. This lack of flavor only adds to tofu’s extreme popularity and versatility, allowing it to be used as the perfect centerpiece for dinners or desserts. 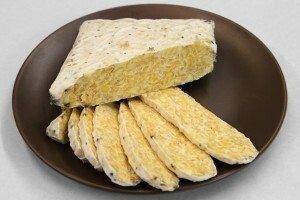 Tempeh originated in Indonesia and is made by fermenting whole soybeans into dense chewy blocks. Tempeh has a much meatier texture, and a slightly nutty flavor. In Indonesia tempeh is used as an affordable, everyday protein in family recipes; it’s only on special occasions when tempeh is substituted by actual meat, which only exemplifies tempeh’s comparable texture. Although tempeh is usually made from soybeans, soy-free varieties can be made from black-eyed peas, garbanzo, or black beans. Tofu is extremely porous and soaks up flavors very easily, whereas tempeh needs to be marinated longer and/or in smaller pieces. Tempeh also lends itself well to being slow braised, or simmered in a flavored broth before being added to the main dish. Both tofu and tempeh are very versatile, and have a wide array of textures and uses. Tofu can be crumbled and used as a ricotta, blended to make thick custard, cubed, fried or frozen, thawed, and shredded for a meatier texture. 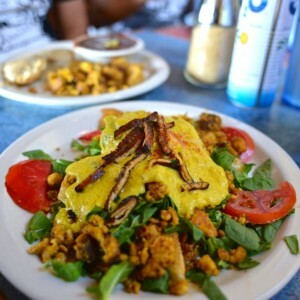 Tempeh in the same right can be crumbled to make a ground taco filling, shredded for a “tuna” salad, cubed and fried, or sliced into strips for faux bacon. With both, the limitations are only one’s own imagination. Tofu is made from soymilk and has a protein content of about 12 grams per 4 ounce serving. Tempeh is made from whole soybeans, and consequently its protein content is almost double that of tofu’s at 22 grams per 4 ounce serving. Both proteins have B vitamins, iron, potassium, dietary fiber, and no cholesterol. An added benefit to tempeh is, because it’s fermented, it’s easier for the body to digest and diminishes flatulence. Beans have oligosaccharides that are hard for the body to break down in the intestines. They are also the primary culprits in the flatulence experienced after consuming beans. Several kinds of fungus have enzymes that naturally break down the oligosaccharides, one of which is the Tempeh Spore. The fermenting process in Tempeh makes the sugars and proteins available for the body to use as fuel, thereby eliminating the excess methane in the lower intestines, and reducing flatulence. Both Tofu and Tempeh are packed with isoflavones. These help strengthen bones, help to ease menopause symptoms in women, and reduce risk of heart disease and cancer. Tofu will always be my go-to for desserts and cheeses. It is the base for my favorite vegan cheesecake, pumpkin pie, and makes an excellent whipped cream. In the end, while I have a spot in my heart for both, in savory dishes, battle tempeh vs. tofu goes to tempeh purely based on texture. 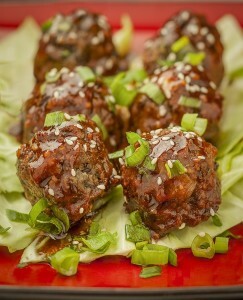 I couldn’t make my Italian meatballs without it, or my new favorite: Dill tuna salad. Tempeh has proved to be a fantastic addition to my plant-based protein repertoire, and I hope you give it a chance to spark your culinary curiosity. 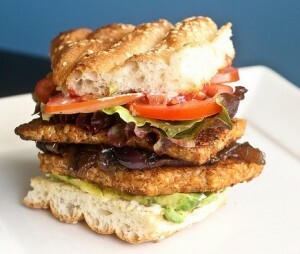 One Response to "Tempeh vs. Tofu – Battle of healthy vegan proteins"
Hi, thanks for this article! I wanted to know if you have read articles out there that are claiming tofu to be not as good as tempeh, and that it doesnt allow the body to absorb minerals etc properly? What are your thoughts?